Get ready for one of the most unique live theatrical experiences in existence – the surreal horror podcast Welcome To Night Vale is coming LIVE to Fox Theater Oakland on Sunday 3rd December 2017! Guaranteed to be a sell out show. We're all very excited! Created by Joseph Fink and Jeffrey Cranor in 2012, Welcome To Night Vale is a podcast centered around the goings-on of the fictional desert town of Night Vale. The podcast is in the style of a radio news station, featuring “weather” (music by different independent artists) as well as news coverage and advertisements. Fans of the series can’t afford to miss the live re-enactment! 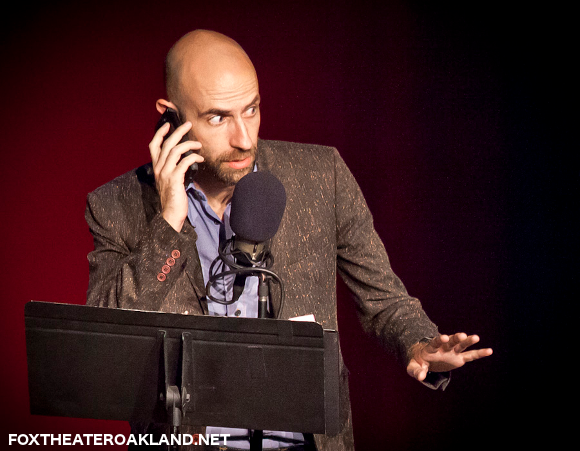 Get your tickets to Welcome To Night Vale today.